This boy had a pretty awesome weekend. It started off with a trip to the fair with grandma. Hudson saw horses, pigs, cows, sheep, goats, and his favorite: bunnies. Grandma said he had so much fun and the only way to get him to leave was to bribe him with ice cream. He is totally my child. My husband and I tried taking him back to the fair on Saturday….but someone decided to have an epic meltdown over leaving the playground area. 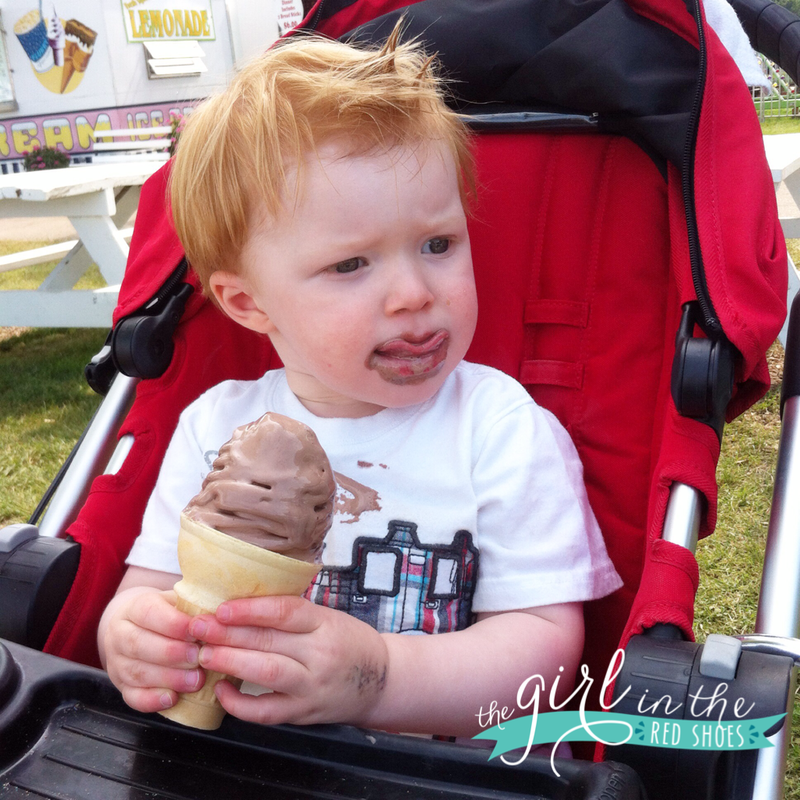 Turns out crowded fairs + a not quite 2-year-old don’t make for much fun for mommy and daddy. So we tried to salvage the rest of the day….and I think we did a pretty good job! 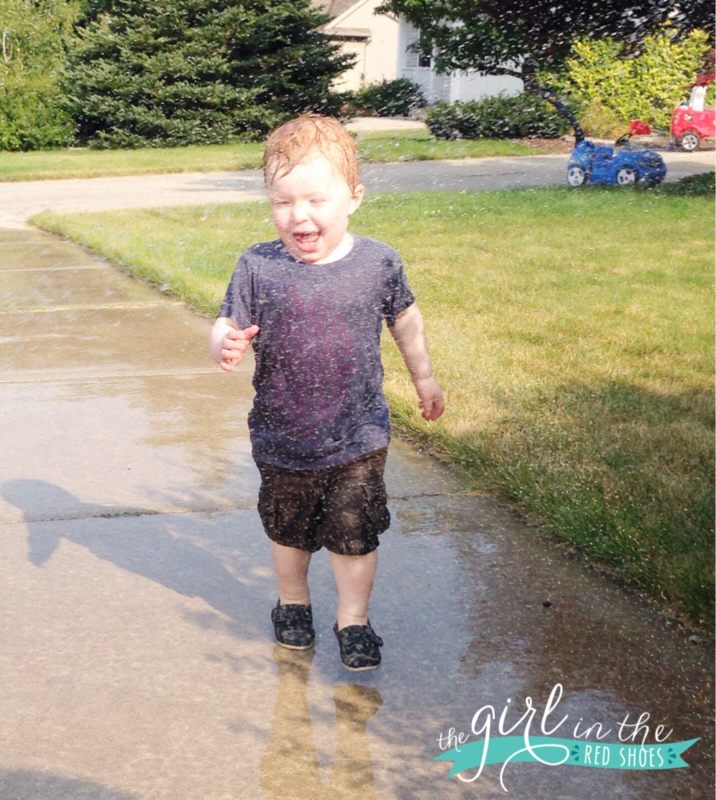 Running through the sprinklers is Hudson’s new favorite activity. And mine too because an hour of running and laughing makes for an easy bedtime for me! On Sunday I worked in the nursery at church and Hudson had a blast playing with his buddies in his room…and only cried for a few minutes (I totally spied on him the entire time). 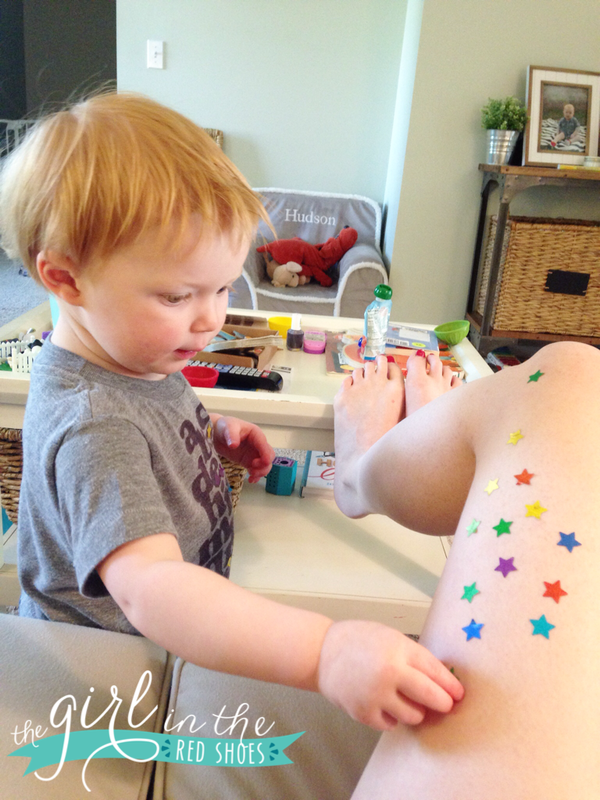 When we got home Hudson helped me fancy up my white-as-a-ghost legs with some star stickers. Loving these little moments with my boy. Another perfect little weekend down in the books! p.s….I’m guest posting today over at Running from the Law! 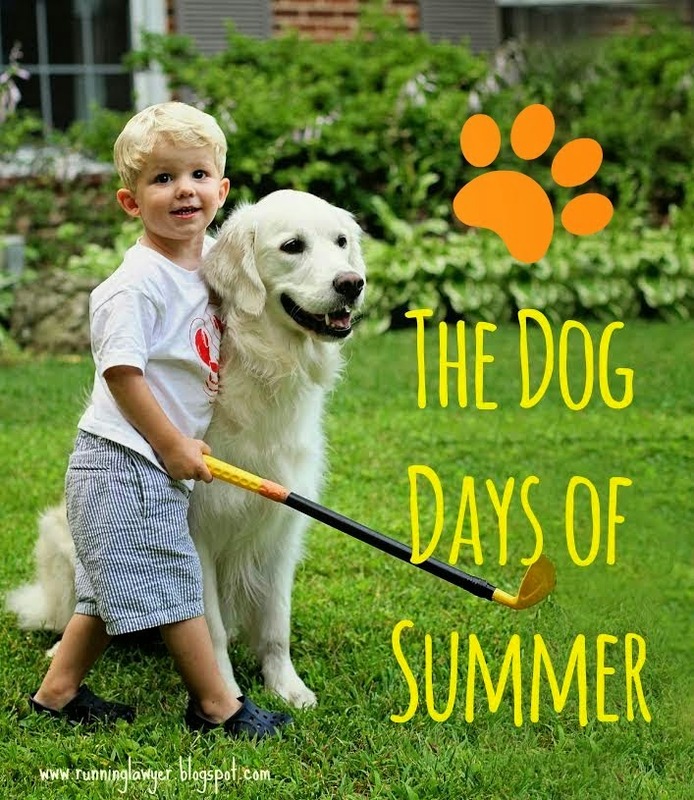 I’m sharing all about Hudson and Wrigley’s special connection. Check it out here. « Back to School Snack Pack! Precious! 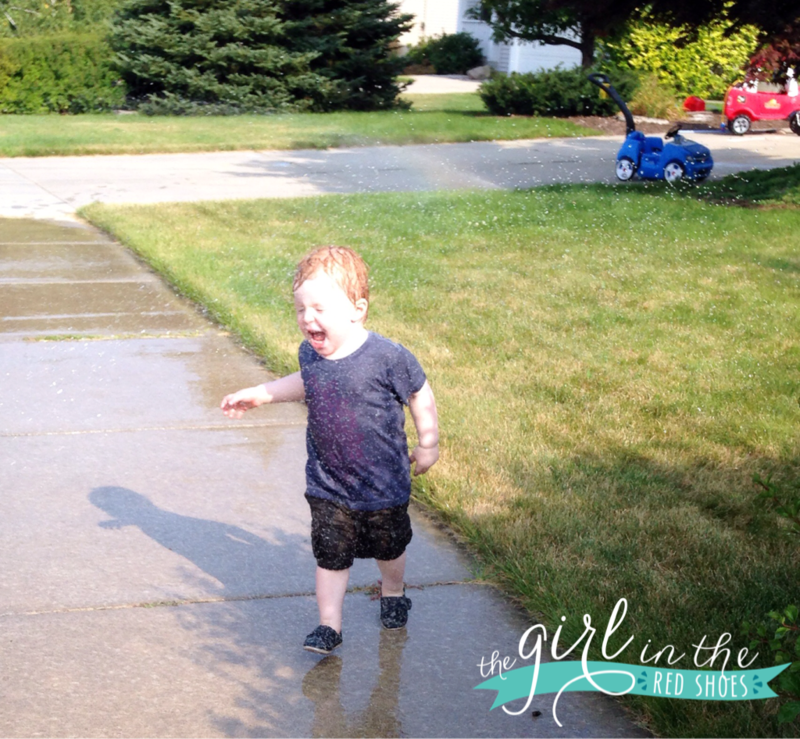 Lilly loves running through the sprinkler too and it's so much fun to watch her. Kids are just funny and great entertainment, yes? Grandma's always have the best adventures planned! My Mom was able to take my 3 year old to the beach without one meltdown and I can't get her to put on her shoes in the morning! I could just eat him up… Figuratively of course! Haha! He's precious though & growing so fast!! So sweet!! And, I totally would have spied the entire time in the nursery, too…we won't be able to much longer!! Happy Tuesday! Abigail totally loves covering me in stickers. Funny kids! A isn't much for the sprinkler, but she LOVES playing with the hose and spray nozzle. What a fun weekend! We went to the fair not long ago and Mason absolutely LOVED all the animals too!